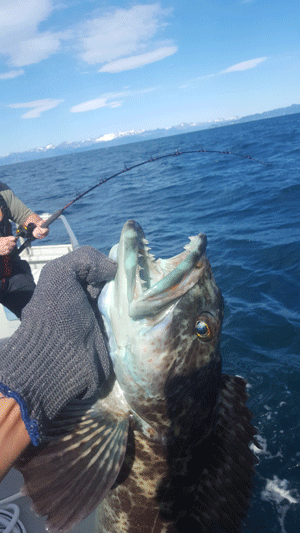 Above all, Alaskan Lingcod are true to their nature and reputation! 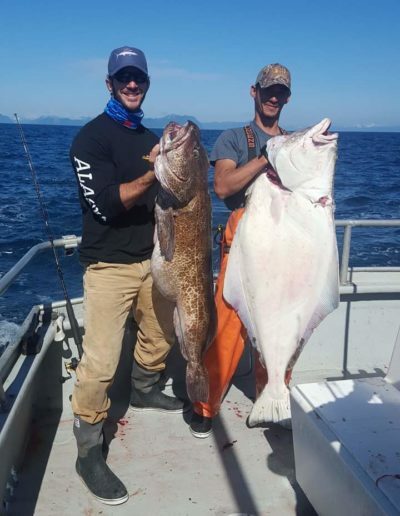 Besides their aggressive bite, they exhibit an exciting fight that is thrilling for anglers. Coupled with average weights of 40-50lbs and lengths up to 4 FT, they’re appealing for their light flavor and delicate texture! Most noteworthy, you’ll want to make sure you choose a charter service that has experience! 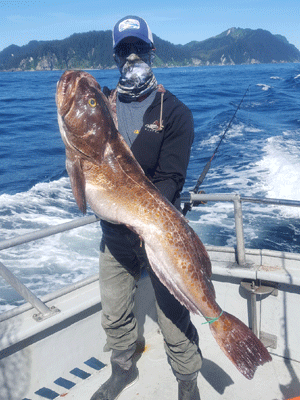 Usually, Alaskan Lingcod can be a challenging target for the inexperienced angler. 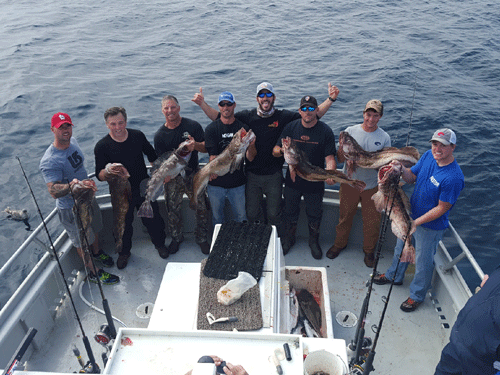 Because of this, making your charter selection is vital for success. 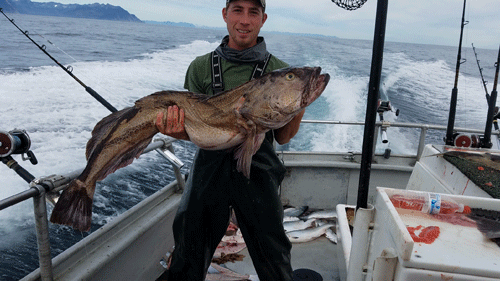 Most anglers catch Lingcod when targeting bottom fish such as Alaskan Halibut in Seward. Thus, making it the perfect addition to our Ultimate Seward Combo! Because of their predatory nature, using a combination of proper gear and constant jigging is vital! This method is also the most popular for retaining these thrilling fish. Additionally, you’ll target shallower rock piles and keep the boat drifting. Therefore, allowing for a more enticing effect on the jigs. 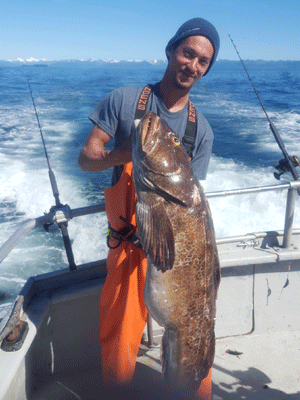 By the way, a favored benefit of our Lingcod trips is their survival rate when released. In this case, anglers can confidently target trophy Lingcod without the worries of unintentional killing. 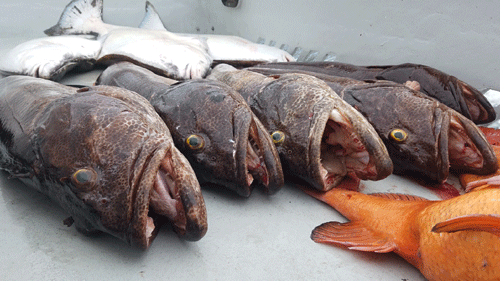 Unlike Rockfish, Lingcod species do not have air bladders. Thus, giving them a higher success rate of surviving. In this case, this is especially true if released with proper technique and equipment. 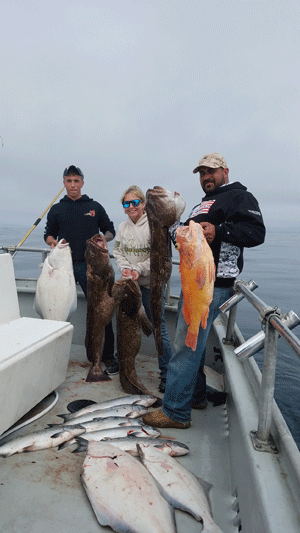 Due to providing trophy Lingcod trips, we allow our guests to retain one per angler during your charter. Furthermore, we wholeheartedly encourage proper catch and release methods for those under trophy size. 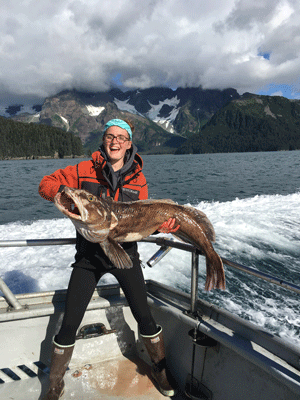 Coupled with an experienced captain and knowledgeable crew, you’re ready to fish for trophy Lingcod! Also, we provide tournament grade equipment from our high-end sponsors, such as Penn, Cabela’s and SpiderWire. 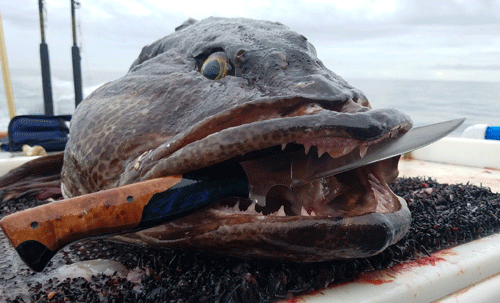 Lastly, your fish is professionally filleted and ready for processing before you are back to the dock!